With spring and summer on the horizon I have begun the process of looking for products I am going to be needing in the near future. One of those is a great quality tower fan for the living room. Our living room has several window and an outside door so it tends to get hotter then other rooms in the house. I like to keep a tower fan just to keep the temperature cooler without having to turn up the air conditioner. I was happy to find this great tower fan by Ozeri. The reasons I love this fan is that it’s nice and tall and has a wide range so it cools the entire room from top to bottom. It oscillates which is nice so that it reaches the entire room. Has a remote control so I can change the settings without having to get up. Has a large display that reads the room temperature and current settings that I can easily read from a distance. I also love that it has settings that will monitor the temperature in the room and shut off and turn on when it reaches a preset temperature. I do want to note that my fan came with a broken lid on the top. The chamber that was design to hold the remote and gives access to the mode buttons would not latch and close. I didn’t feel like it was important enough to return it and mess with getting a replacement so I just taped it shut. However, since this is a product review then it should be noted that it came broken. This could have been a result of shipping damage but that is unclear. You can purchase the Ozeri Fan on Amazon. If you plan to use cloth diapers, which I highly recommend, Glow Bug diapers is a great source for all of your cloth diaper needs. Glow bug has some super cute and stylish designs that will look adorable on your little one. Glow Bug is great because they have put together some packages so you can choose the best option for you and have everything you need in one easy shipment that comes straight to your door. The process couldn’t be easier. Cloth diapers can be reused over and over again reducing the amount of waste that is thrown away. Making a much lighter footprint on our environment. It is estimated that a baby will use over 2000 diapers in a year, considering that most children are not potty trained until age 2-4 that is thousands of diapers that go into landfills every year. Just toss them in the diaper pails to wash ane reuse later. Just like it is good for the environment, it is also good for your finances. Yes there is an investment when you purchase your kit of cloth diapers but once you have your kit you can reuse them as many times as you would like. Glow Bug diapers are adjustable and feature adjustable button fasteners that can be adjusted as the child grows. The kit you purchase is designed to fit your child from birth until potty training. Considering that the average family spends $60 a month on diapers with a baby in the home and as mentioned before that this could go on for 2-4 years the overall cost is much higher with disposable diapers then with cloth. Cloth diapers are just that cloth. No hidden chemicals to make them smell fresh or absorb liquids. Anytime your baby comes in contact with chemicals there is a chance for a reaction or allergy. polypropylene Considered a safe, food grade plastic. 280 million metric tonnes of it was produced in 2011 alone. Glow Bug cloth diapers are free of chemicals and allergens. Made of polyester. 100% polyester laminated with polyurethane on the outside and our exclusive SlimDry material is 100% polyester on the inside. Their microfiber inserts are 70% polyester and 30% nylon. Their bamboo inserts are made of 2 layers of bamboo viscose, cotton and polyester blend and 1 layer of microfiber. Glow Bug has put all of the benefits of cloth diapers into one style. Here are some of the benefits and features that set them apart from other cloth diapers. You can learn more about Glow Bug Diapers on their Website. When it comes to my lips, especially in the winter time, I am always looking for a way to keep them hydrated. I am currently in love with ChapStick’s total hydration. They have included the ChapStick that we already love with a hint of color. Now my lips can feel and look great. The best part in my opinion is that this ChapStick is 100% natural. They currently come in three colors Marlot, Coral Blush , and Rose Pink. ChapStick® Total Hydration Moisture + Tint is the first-ever tinted lip balm from the experts in lip care. This tinted moisturizer features a formula with 100% naturally sourced ingredients that deliver long lasting moisture, plus a hint of alluring color specifically formulated to enhance the lips’ natural color. The Total Hydration Moisture + Tint formula is comprised of premium ingredients, including Rosehip Oil, Jojoba Oil and Avocado Butter, and is available in three shades – Rose Petal, Coral Blush and Merlot – so there’s a shade for every occasion. ChapStick total hydration makes a great Valentines Day gift. Add it to a gift basket or on it’s own. A great way to keep your lips soft and kissable during the holiday of love! Also available exclusively at Target. Have you ever broken your cell phone? Or if you are like me had your phone broken by one of your children? I don’t know about you but my phone is my brain, I have to have it or I have no idea what time it is, where I’m supposed to be, how many calorie I’ve had today, and my communication line with my older kids and my husband. When it breaks I am lost. The problem is when it breaks it’s not always the most convenient time to drop everything and run to the repair store. I recently found a great service called CellSavers. 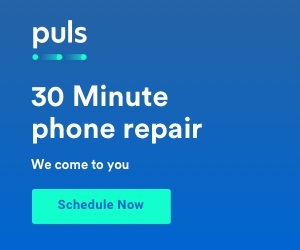 They do 30 minute phone repair and the best part…..they come to you! So no matter what I have going on during the day I can call CellSavers and they are there to fix my phone in no time. It’s a lifesaver! To find out more visit the CellSavers Website. About Fracture Me: Taking pictures is great. Printing pictures can be time consuming, overwhelming, and not all that fun. Fracture was founded around a simple idea: there should be a better way to print and display your photos. Fractures are different from traditional pictures and frames. Instead of printing on paper, we print directly on glass. Instead of separating the picture, frame, and mount, a Fracture combines all three into a beautiful, lasting, final product. Our process is simple: upload your photo, place your order, and in a few days you’ll receive your Fracture in our custom, environmentally-friendly packaging, ready to be mounted on your wall. We even include the screw. We make every Fracture by hand, in Gainesville, FL. We check every image for quality, and send them to you in our safe, environmentally-friendly packaging. Every Fracture comes with a Happiness Guarantee and Lifetime Warranty. Don’t trap your photos on your hard drive or in the cloud. With Fracture, its fun, easy, and affordable to decorate your home, dorm, or office with pictures of your favorite people, places, and memories. Prices start at just $15. What is a giveaway hop? It’s really cool, you can enter our giveaway here and then visit each of the other blogs listed on the giveaway hop list and enter all of their giveaways as well. No limit on how many prizes you can win so the more you enter the more chances you have to win cool prizes! Every blog has their own prize so there are lots to win. My kiddos always have to have a cute T-Shirt to wear for Valentines Day, it has become a tradition. We recently found a great company called Textual Tees that has some great options for Valentines Day. They have both children and adult sizes so you can get the entire family something all in one place. They have cute designs, my kids loved them. My seven year old is all into Pokemon Go so this shirt was a no brainer! Fit her great and great quality. Adorable with a pair of leggings and cute boots! My teenager found this super cute vintage Valentine t-shirt. They have some really cute designs but this was her favorite one. Super cute. You can layer it easily, wear with a cute pair of jeans. You can find these cute designs and many more on the Textual Tees Website. One of my favorite skincare companies is GLOW for a cause. Each product is made with high quality ingredients and created to not only make you feel amazing on the outside, but to also help empower you on the inside! With a variety of decadent scents and products available, you’ll be wanting to also gift yourself something while you shop! One of my favorite things about GLOW for a cause though is that they donate part of their proceeds to charities so when you give the gift of GLOW you are not only gifting to your loved one but also to those in need. If you are looking for the perfect pamper gift this Valentines Day check out GLOW for a cause! You can learn more and shop on the GLOW for a cause website. Connect with them on Facebook, Twitter, & Instagram as well. With 2017 officially upon us of course it is time to update our jewelry game for the new year! We have three of our favorite jewelry trends for 2017. 7 Charming Sisters is your go to source for all the latest trends in fashion when it comes to jewelry and accessories. They have you covered. Our favorite three trends from New York fashion week for 2017 are layered rings, statement necklaces, and front back earrings. One of my favorite trends for 2017 is the layered rings look. My favorite set is this great Vintage Stacking Rings set from 7 Charming Sisters. The set comes with three rings that coordinate but are unique as well. I love that I can wear them as separates, together on one finger, or together on separate fingers. You have a lot of variety with this one set of rings. We love this look because it adds interest and contrast to your outfits. Layering is no longer only for clothing! Check out these Vintage Stacking Rings here! Another one of my favorite trends for 2017 is the front back earrings. My favorite set are the Care for a Cocktail Earrings from 7 Charming Sisters. Perfect gold plated pearl ear jacket. They are actually double sided earrings so you can wear them with the large side in the front if you like or put the large side in the back to achieve the front back look. I love that I can wear them both ways depending on what my look is for the day. We love this look because it makes the back of your earrings part of the design. Who doesn’t love a versatile pair of earrings with multiple ways to wear them?? Check out the Care for a Cocktail Earrings here!! My final favorite trends for 2017 is the statement necklace. My favorite right now is Beat the Heat necklace from 7 Charming Sisters. The white crescent pendent necklace is a large statement piece that really stands out. The necklace comes on a large 30 inch long chain that allows it to hang low on your neckline drawing attention to the necklace on a neutral background. It’s a great way to add glamor to a neutral color top. I love that I can wear it with a variety of colors and styles and dress up my more modest tops adding a splash of drama. We love this look because it makes the necklace part of the outfit and adds lots of drama and appeal to tops that may be otherwise boring. Who doesn’t love to make a statement? Remember the goal is to take a drab look and add some drama to make it fab. Statement necklaces look great with v-necks. When you are wearing a statement necklace it can never be to much. Color is good, gems are good, the bigger and bolder the better. At the time there is always more then one way to wear a trend and sometimes less can be more. As in this example one large piece on a necklace can make a great statement. Check out the Beat the Heat Necklace here! No matter what your favorite trend is 7 Charming Sisters has you covered! They have all of the latest trends to update your jewelry box for 2017. Visit 7 Charming Sisters today!